The church in Corinth wanted to run a conference, so they contacted Apollos, who was in Rome at the time. They had been really blessed by his understanding of how the O.T. related to us today. They asked him to give three messages on this theme at the conference. So they asked Apollos if he would write the messages out for them. He agreed on condition it was anonymous, because of all the trouble with factions at Corinth. When he did so, he did quite a bit of work polishing it and organizing the content. He then sent them a copy with a note attached to the end ([13:22–24]). So what do we know about the author? The only one in Paul’s circle of friends who fits. “Epistle of Paul to the Hebrews” <- wrong! It must have been or he could hardly have failed to mention that! 13:24 Greetings to all your leaders and all the saints. Those from Italy send you greetings. unfortunately I can’t show you the beauty of the Greek, since you would have to be fairly advanced Greek students to really appreciate it. In the last 100 years, there has been a lot of success in identifying literary features in the book which help us determine the structure. All the heroes of faith are cheering you on, so run the race! But remember the former days when you endured a harsh conflict of suffering after you were enlightened. At times you were publicly exposed to abuse and afflictions, and at other times you came to share with others who were treated in that way. 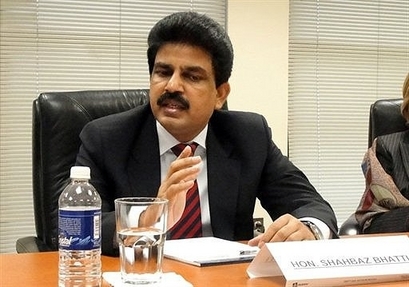 Shahbaz Bhatti was killed a few days ago. But what kind of lower-level opposition might we face? What are the equivalent pressures facing us? anything? Parable of the four kinds of seeds? But he has no root in himself and does not endure; when trouble or persecution comes because of the word, immediately he falls away. Do you need encouragement not to give up? Do you trust Jesus yet? God has spoken to us in an entirely new, and infinitely superior way, through Jesus. So if it was serious to ignore God speaking in the past, how much more serious is it now!